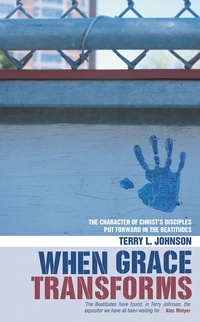 Terry Johnson stresses that the Beatitudes are Jesus’ handbook to living a fuller life. This better, more contented and satisfying life is only for the people who believe in him, because, as Terry demonstrates, the Sermon on the Mount was preached to the disciples and not to the general population. This blows a horrible hole in the theories of those who try to take this collection of Jesus’ teachings as a guide to more harmonious living outside the church. God’s blessings here are on his people in a special way, not on the population as a whole. To this end Terry doesn’t allow for the word ‘blessed’ to be translated ‘happy’, as it trivialises some very serious points Jesus makes. He explains the Beatitudes, showing both what they don’t mean, and opening up what they do. His conclusions are strong, challenging, and immensely practical. You will be engaged in the impact of Jesus’ words as you never have before.